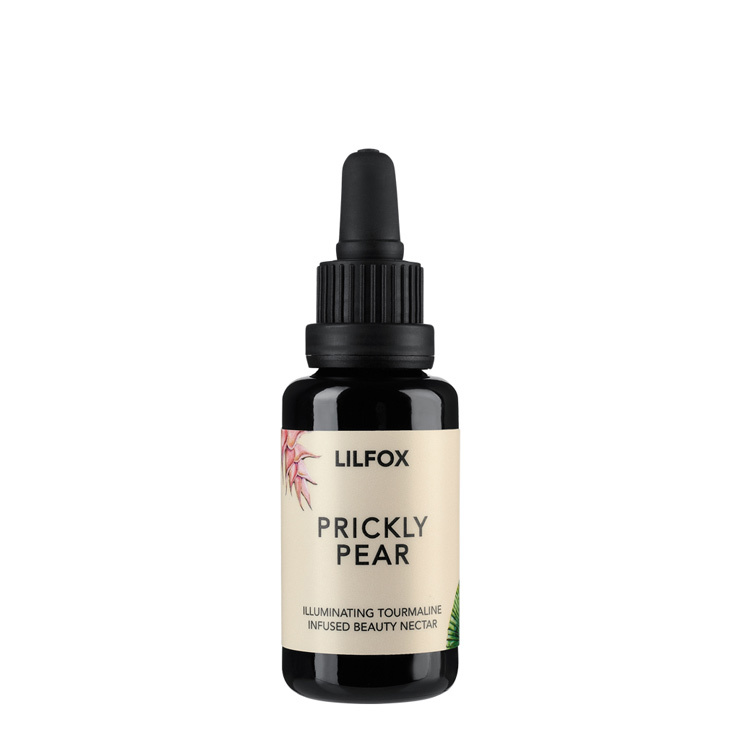 The Prickly Pear Illuminating Tourmaline Infused Beauty Nectar by LILFOX is a potent nutrient dense serum that lends a toned and lifted appearance for a more youthful and radiant looking complexion. 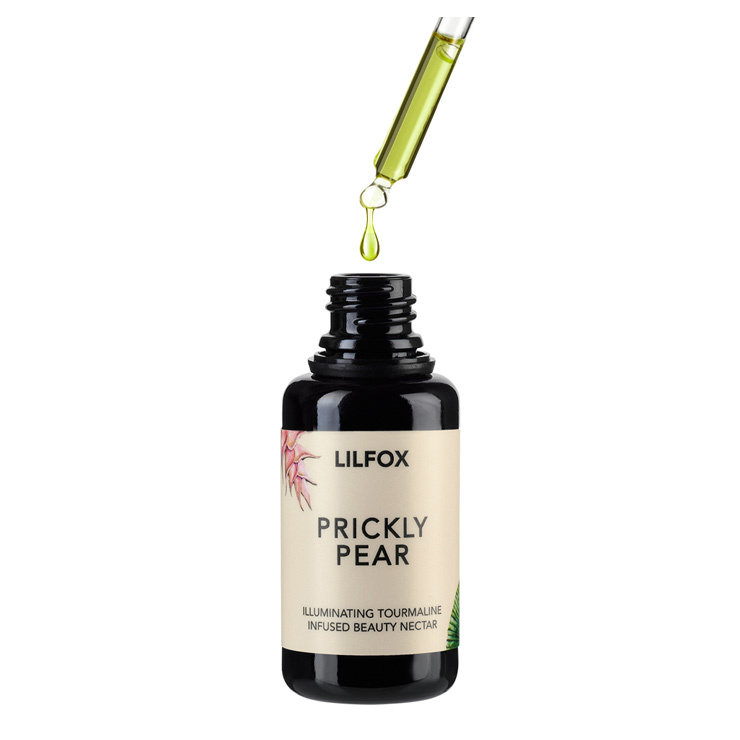 Concentrated first-pressed prickly pear seed oil is infused with resveratrol rich anti-aging French grape seed oil, curative jasmine, sandalwood and red raspberry. You only need to apply a few drops for a softer feel. Blend with your moisturizer or foundation for a sense of all day antioxidant protection and layer on at night to offer a look of repair and rejunvenation. Apply 1-3 drops (as needed) to face and neck or desired areas after cleansing. I was pleasantly surprised with this oil! I've been using it for a couple months now and it's been great for my sensitive/rosacea/dry skin. Totally non-irritating and it feels so light, it just sinks in leaving a dewy finish. Since my skin has been extremely dry this winter I follow with an additional balm to lock moisture in, but on warmer days this oil makes my face feel quite comfortable by itself. Beyond the lovely texture the scent is heavenly - it's a light jasmine fragrance, (it fades after a couple minutes) I look forward to putting it on every day. I have to say, I have completely fallen in love with this oil. I use this on my entire face (including under-eyes and lips). I wasn't in love with the smell the first month of use, but it's grown on me. I actually appreciate and like it now. I know all that earthy goodness is going to make my skin so very happy and the smell reminds me that. 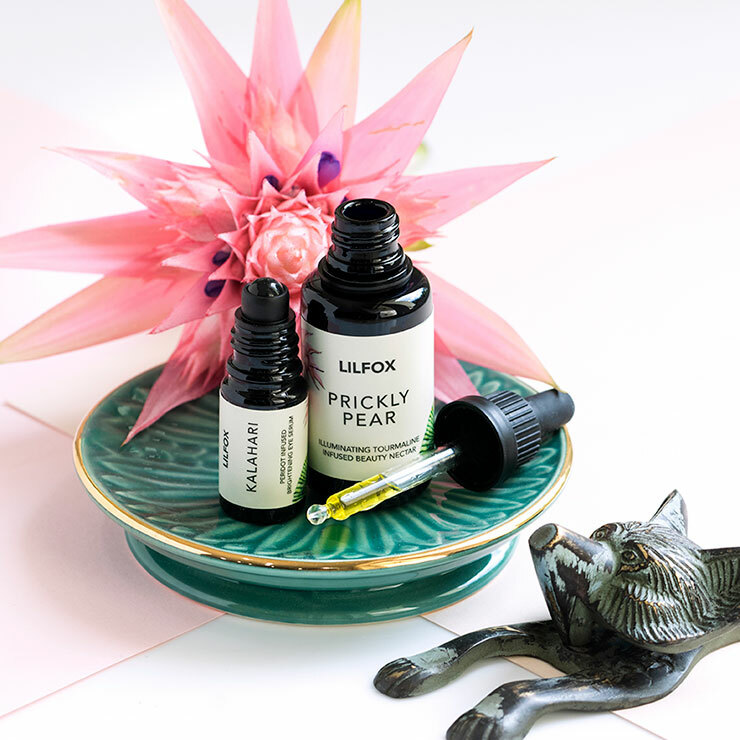 My skin loves this beautiful cactus oil and it will forever be in my top facial must haves! I've tried my fair share of beauty oils - the higher end ones include True Botanicals, RMS Beauty, and Biossance. This one far exceeds them all. I find the smell intoxicating, uplifting, and soothing...basically magic in a bottle. This oil soaks in immediately and doesn't leave an oily feel, but seems to truly moisturize my dry, aging skin. So happy to have discovered this through Beauty Heroes. This has to be my best discovery of 2018! Received this in my box and I LOVE IT! I've used quiet a few facial oils and this one stands out as a winner. I like more than the $250 African Botanics oil that I also have. It has a gorgeous scent, jasmine but fruity too. I am obsessed with it. Absorbs better than other oils while still being dewey. A repurchase for sure! I mist and apply this throughout the day at the office. My skin glows - it feels so nourishing. No make up could compare to the natural dewy sheen it gives!